Welcome to thrive early learning academy! 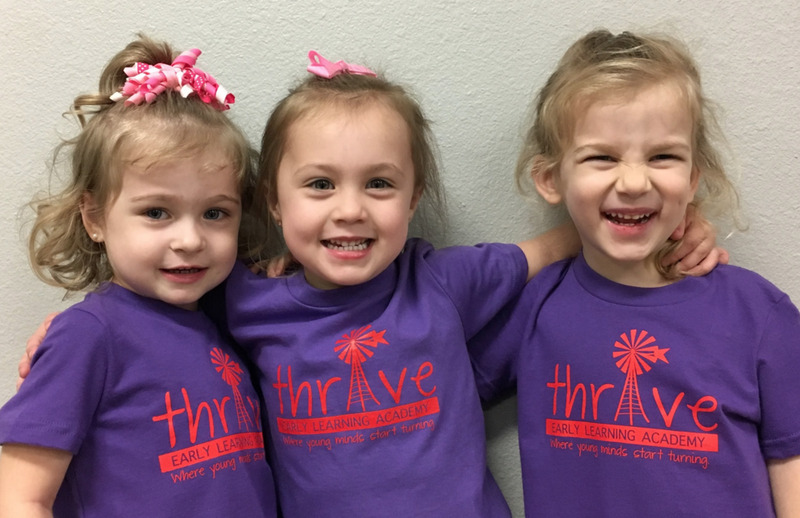 Thrive Early Learning Academy is open year-round, Monday Through Friday from 6:30am to 6:30pm. We offer a full and part time program. Our part time, Monday/Wednesday/Friday or Tuesday/Thursday, is offered to children 18 months and older. Full time programs are Monday through Friday.